Famed British designer Kim Jones is collaborating with budget-priced Japanese clothing chain GU on a line of menswear. 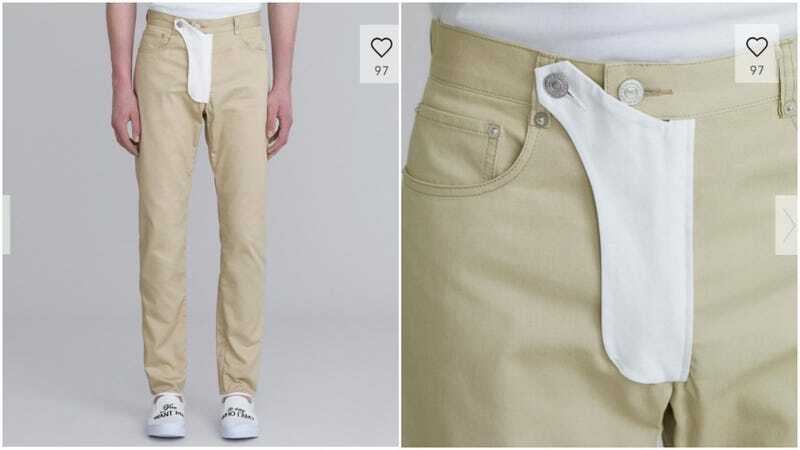 Much of it looks fine, but these pants are baffling folks in Japan. Owned by Uniqlo, GU is a mass market chain you find in suburban shopping malls, and these “slim taper pants” feature a rather unique fly that certainly is attention-grabbing, clearly stating LOOK AT MY CROTCH. This tweet pointing out the pants has racked up over 21,000 retweets. On 2ch, Japan’s biggest bulletin board, the reaction was bewilderment and amusement.